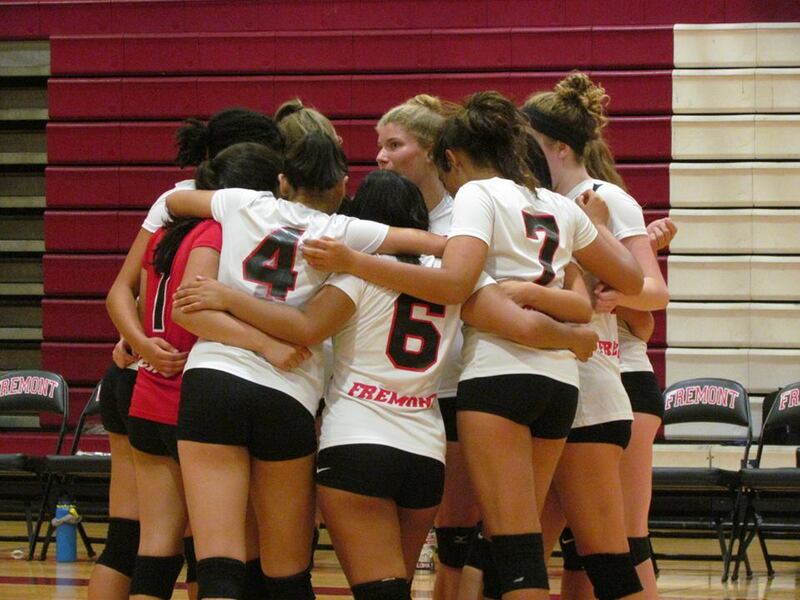 Tuesday’s volleyball matchup between the Sunnyvale Fremont Firebirds and Gunn Titans pitted a pair of 3-1 teams vying for sole possession of second place in the El Camino League standings. 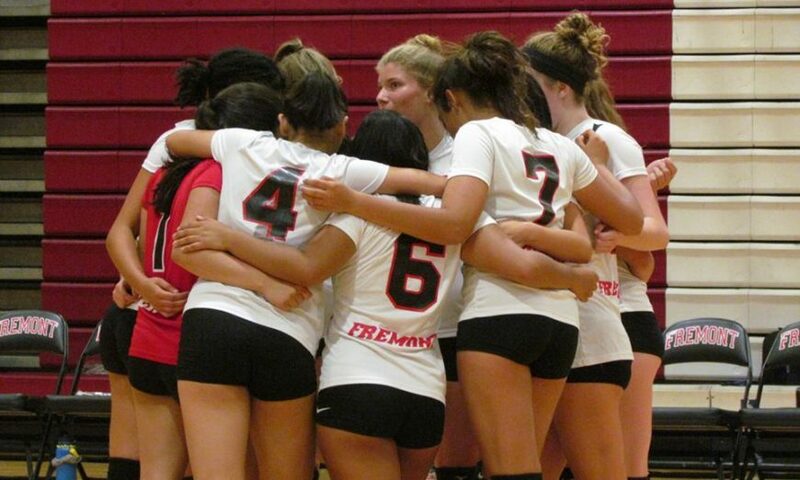 Both Fremont and Gunn came into the match having previously lost to first-place Cupertino. Between the two schools, only Fremont managed to pull out a set victory against the Pioneers. The Firebirds won the first set 25-23 and nearly forced a fifth set, falling in the fourth 27-25. Gunn, on the other hand, lost to Cupertino in straight sets, 25-20, 25-21, 25-22. Despite the Firebirds fairing better in their matchup with the Pioneers, it was the Titans getting the better of Fremont on Tuesday. Fremont would take an early 3-0 lead in the first set on the strength of two kills from senior Aleksandra Davila, but Gunn took over from there. The Titans earned 20 of the next 24 points in the set, eventually taking the first frame 25-11. Fremont figured out the adjustments they needed to make and the next two sets were much more competitive. Unfortunately for Firebirds fans, they would drop both the second and third sets by identical 25-20 scores, giving the Titans the 3-0 win. Wu and Davila share captaincy duties for the Firebirds. In addition, they also share the unique factor that they are both left-handed hitters. Davila is the team’s go-to outside hitter, and Wu happens to be their primary setter. Being a fellow lefty means Wu instinctively knows just where Davila wants the ball. While the five-foot-eight-inch Davila predictably paced the Fremont side with eight kills against Gunn, Wu actually finished fourth on the team in attempts with 11. She was credited with two kills of her own. Despite being listed at just five feet three inches tall, Wu has the vertical leaping ability and power with her left hand to surprise her opponents with kills of her own. Fremont will look to bounce back in their next match at Wilcox on Thursday, Sept. 27 before a rematch with first-place Cupertino at home on Oct. 2.